Aegis Media has restructured its UK management team with Tracy De Groose replacing Robert Horler as the managing director of Carat. Horler moves to the new role of chief operating officer at Aegis Media UK, where he will be joined by Steve Hobbs, the deputy managing director of Carat, who becomes the director of media operations for Aegis Media. While working closely with De Groose, Horler will take operational responsibility for all Aegis Media UK’s businesses, assuming many of the UK responsibilities of Nigel Sharrocks, the former chief executive of Aegis Media UK, who in May was promoted to the role of chief executive of Aegis Media Western Europe. The heads of Aegis Media’s UK agencies, including Carat, Vizeum and Feather Brooksbank, will all now report to Horler. 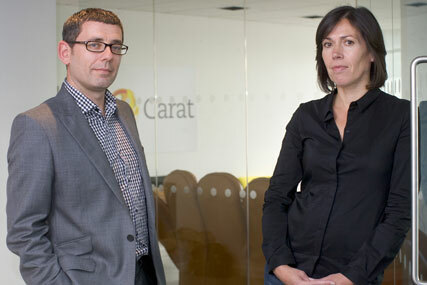 Horler is replaced in the Carat role just 15 months after he succeeded Neil Jones as Carat’s managing director. De Groose has been working for Carat for the past year on a consultancy basis, leading its recent COI pitch as well as working behind the scenes on other pitches and devel­oping the agency’s brand positioning. As Tracy Darwen, she was the managing director of Naked Communications for four years until 2006 and has also worked at Starcom and for the brewer Whitbread. De Groose said: "Whereas the MD role in essence remains the same, Rob will be closely involved in the business, so the team will be strengthened."